Known for being the country’s only “Live-Work-Play” community, Eastwood City is easily an excellent destination for the ultimate dining experience. Eastwood City has 3 malls namely Eastwood Mall, Eastwood City Walk 1 and 2 and Cyber and Fashion Mall, which houses several dining options from fine dining restaurants down to the country's favorite fast food chains. Lucky for us, they didn't stop there. Eastwood City is brewing yet another dining strip in the area that's full of new exciting concepts, including big international names. Meet Eastwood Avenue, it has recently been revamped to live up to Eastwood City's promise of a more enticing and more exciting dining experience for everyone. Eastwood Avenue offers ease of access to their restaurant since all of them are located along the strip, so guests can easily be dropped off by car or can hop across one restaurant to another with no hassle. With its picturesque view and isolation from the big crowd, the strip is perfect for an intimate dining experience. Gourmet Farms Express is a collection of everything fresh, healthy, and organic. The restaurant offers pasta dishes, great salad selections and healthy sandwiches. The recommended items on their menue is their Chicken Caesar Salad (Chef's Signature) P185.00 Regular/P250.00 Large, grilled chicken, bacon, parmesan, hard boiled egg, tomato, croutons in caesar salad. It's also available in whole wheat wrap (P10.00) or their lettuce wrap (P20.00). 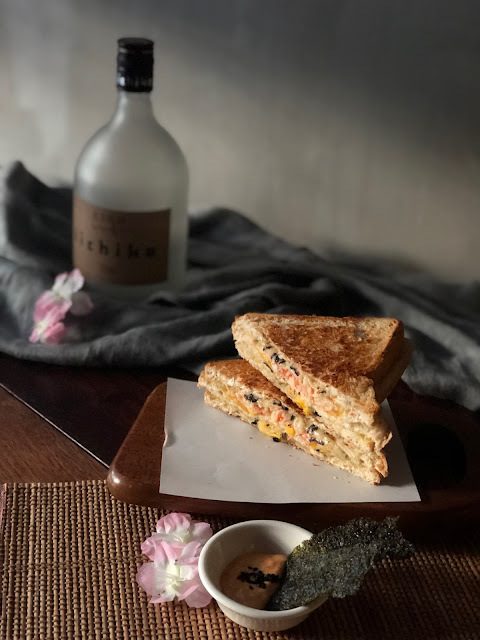 For their premium pasta, you could try their Smoked Salmon Sun Dried Tomato Pesto (Premium Pasta) P185.00, smoked salmon, sun dried tomato pesto and black olives with focaccia bread. They also have Taco Avocado Salad (Chef's Signature) P185.00 Regular/P250.00 Large, grilled chicken, avocado, tomato, onion, lettuce chips, kidney beans, cilantro and lemon in their Mexican dressing. Gourmet Farms Express is your healthy eating option. One of the newest restaurant franchise to hit the Philippines. Ippudo is a Japanese restaurant that serves great ramen. With branches in New York, Singapore, Seoul, Taipei, Sydney and Kuala Lumpur, Ippudo brings true and authentic ramen with every bowl. Some of the must try dishes in Ippudo is their Seafood Okonomiyaki P295.00, classic pancake stuffed with cabbage, chunks of squid and topped with shrimps. For their ramen, try their Akamaru Special P495.00, Ippudo's original tonkotsu broth with their special belended miso paste and fragrant garlic oil. 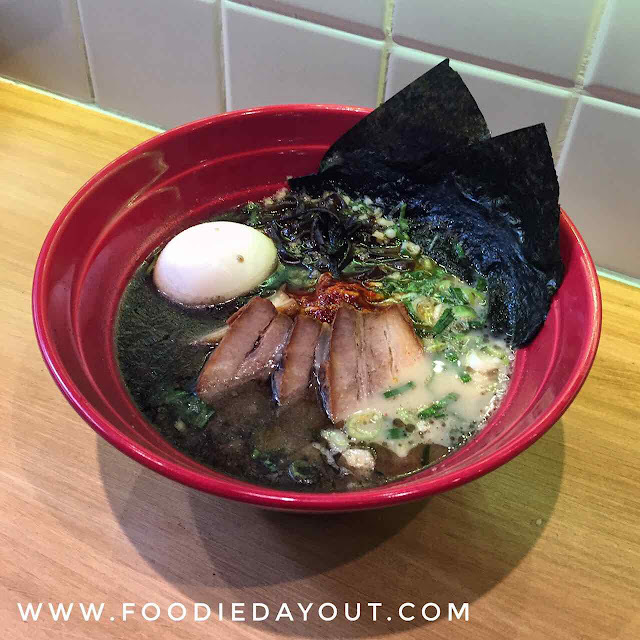 Another must try is their Kuro Ramen P520.00, Ippudo's signature tonkotsu broth infused with spicy garlic, black pepper and thick noodles. Ippudo is your authentic Japanese Ramen fix. Applebees is yet another international franchise that grace the Philippines. Known for their amazing ribs and other American comfort foods, the franchise currently has two branches in the Philippines. One of this is located along Eastwood Avenue. If you don't have any idea what to order, you could start with their Wonton Taco P225.00 for appetizer. It has spicy chicken-stuffed wonton shell with coleslaw and cilantro. 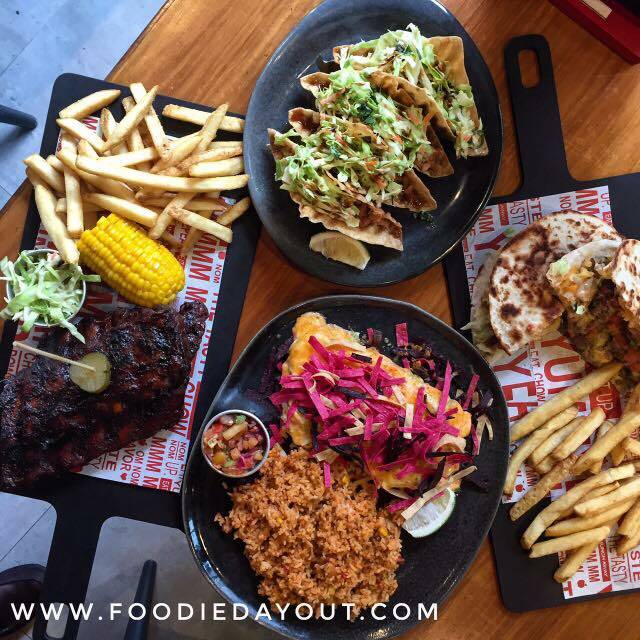 For their mains, you could try their Quesadilla Burger P525.00 or their famous Pork Ribs P650.00 Half / P950.00 Full. Another amazing find here is their Fiesta Lime Chicken P395.00 which is served with tortilla chips, Mexican rice and pico de gallo. Applebees is your quick go to place for great American favorites. Annam is dubbed as the number 1 Pho in Metro Manila by Spot.Ph. 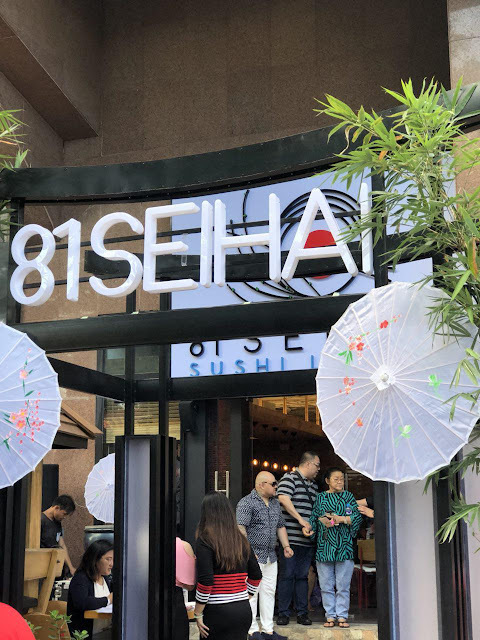 The restaurant is the franchise of the famous NamNam Noodle Bar in Singapore and they take pride by the fact the 95% of their menu does not contain Monosodium Glutamate or MSG. The restaurant is known for their Beef Combination Pho P380.00. Rice flour noodles with that intense beef broth which is boiled for 24 hours. Their Noodle Minced Pork P360.00 is an instant noodles with spicy pork, pork ball, bean sprouts, shrimp and garlic oil. Their Lemongrass Pork Bahn Mi P250.00 which is made from toasted baguette with savory pork, chicken pate, mayonaiide, hot chili pepper, pickled carrots, daikon, cucumber and fresh cilantro. 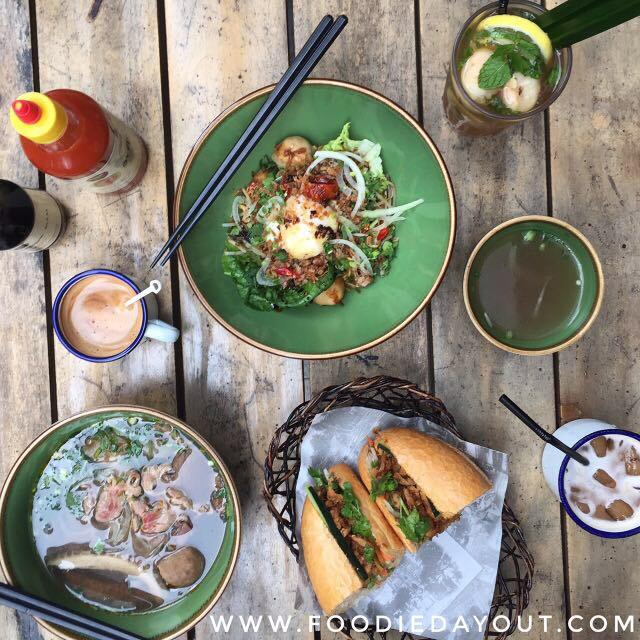 Annam is your quick and affordable Vietnamese find. 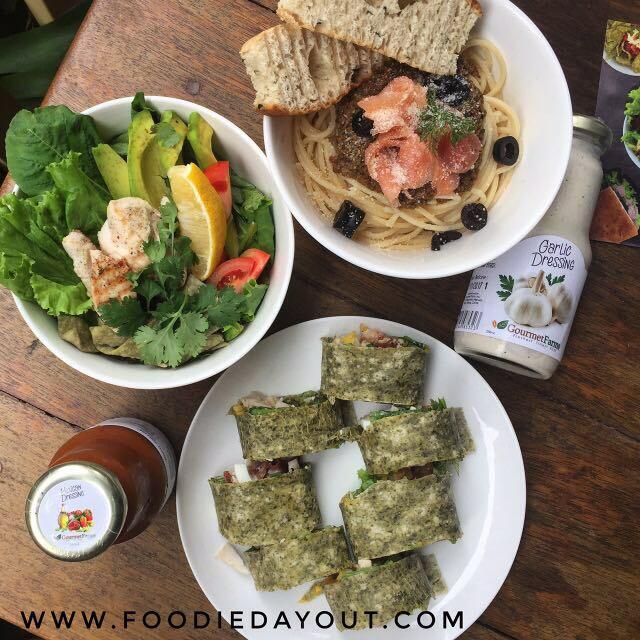 Loved Foodie Day Out's preview? Wait until you see the whole strip! Visit Eastwood Avenue located at Eastwood City, Libis, Quezon City. Omg Eastwood avenue has really some of the best eatries. I fell for each and every restaurant after watching the pic of its yummy cuisines.